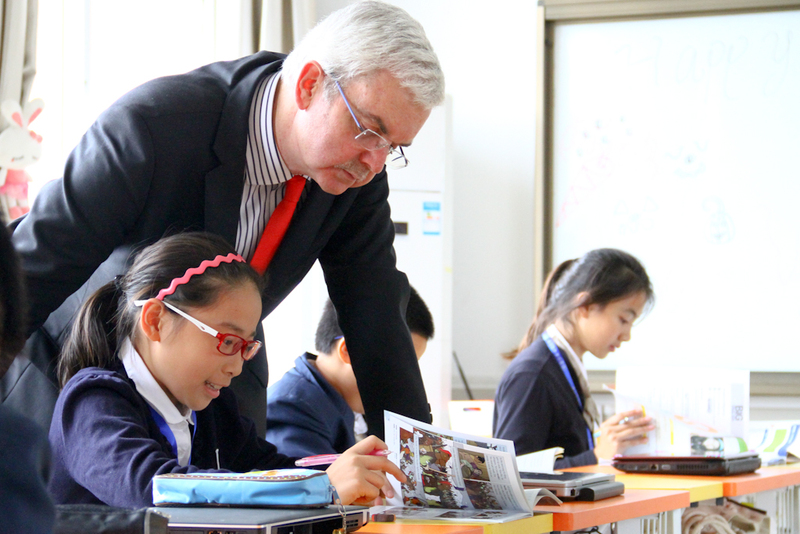 Tony Little is a leading educator who served as Head Master of the prestigious Eton College in the UK for 13 years. Early into his career, Tony advocated for Chinese language and culture to be offered at his school, believing in the benefits of cross cultural education. During the past few days, Tony visited the WLSA Fudan Academy. He conducted a three-day cross-subject analysis with the teaching and research group, subject teachers and the management team. This was to provide guidance on the China specific education including the STEAM Curriculum (Skills, Tactics, Ethics, Articulation, Multiculturalism). The cross-subject analysis was designed to assess the academic ability of each student, analyze countermeasures and improve teaching methods, whilst promoting exchanges and cooperation between subject teachers. This analysis is in line with the school’s “people-oriented” education philosophy, aimed at helping teachers of WLSA Fudan Academy understand the abilities, limitations and personality characteristics of students. Overall to help construct the WLSA Fudan Academy curriculum system that encompasses both Chinese and Western characteristics. Tony implemented a series of groundbreaking reforms during his tenure at Eton College. He abolished the aristocratic hereditary system, and increased the financial aids for students. In 2011, he became one of the founding members of WLSA. Since then, WLSA has developed to where it is today: connecting leading secondary schools in China and western countries; fostering cooperation and exchanges; promoting inter-school student exchanges; Delivering cultural development programs and cultivating elite talents in the new century with international visions. Congratulations Tony, we are excited for the future.